WARNING: THIS DRINK HAS A RELATIVELY HIGH ALCOHOL CONTENT. DO NOT ATTEMPT TO DRINK THIS IF YOU HAVE LOW ALCOHOL TOLERANCE. Admittedly, that warning was just placed there in anticipation that the normal tendency of human beings is to become even more interested in something that is already told of them not to do. Especially with alcohol. People love to test their boundaries with alcohol. The first attempt into making this was again at that wedding in Balay Indang in Cavite, as a more potent partner with the En Route Cosmopolitan Recipe, since there was a clamor for something a little more different than the usual beer and wine. And now, this recipe is up again as reference for another upcoming wedding. And this is of course, as a gift for a very good friend. This is supposedly an attempt into hacking a famous Chili’s Restaurant Tequila Based ice slush drink with the same name. 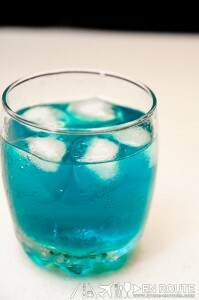 Now, given it is difficult to blend some ice and to find good quality melon liqueur, some substitutes were made. Take this as a shot, or take this as a long drink. But remember to have LOTS of ice. It can be treacherous. Place everything in a shaker and shake (no ice needed). Once everything is mixed, pour everything in a glass full of ice. If no shaker, just use any glass and stir. 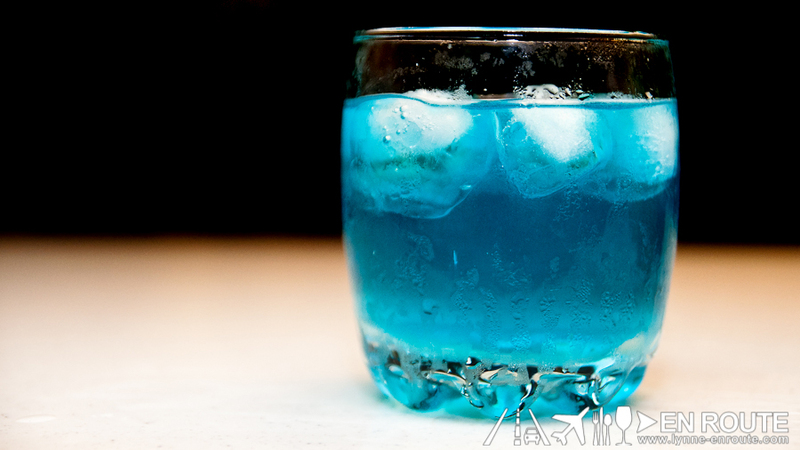 In the event you will use melon liqueur, you will notice that this drink will have a cloudy blue-green color as compared to this one with a more dominant glowing blue hue. Either way, it will taste the same. So it really is a matter of preference when it comes to presentation. 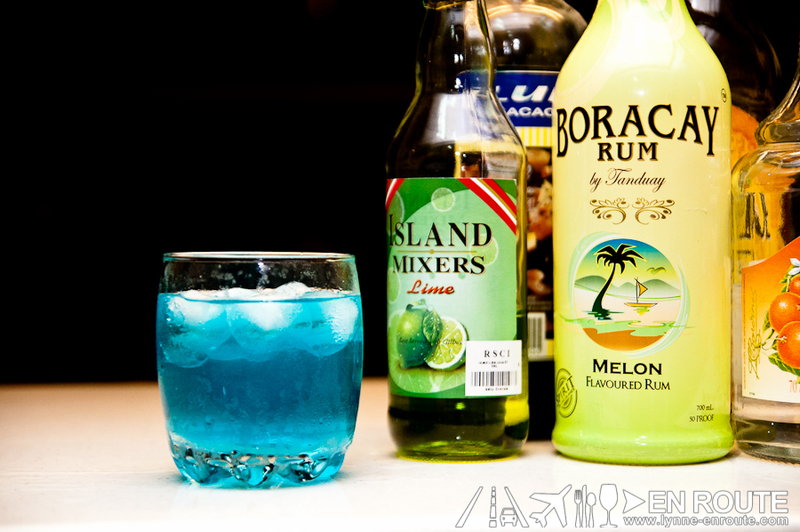 Serve this to your friends in one sunny hot day at the beach, or as a celebratory evening drink (maybe as shots). Nope, En Route is not sponsored by Tanduay Distilleries or Emperador Distilleries. Some have been asking if there were endorsement offers already given that their products have been featured before in that El Cheapo Cosmopolitan Recipe and the still badly named Coco-Coffee-Choco-Martini-with-Stick-O dessert drink.